Is that a turkey in your pocket or are you just pleased to see me? So, I’m driving through East Sydney at about 5:15 last night, on my way to pick my daughter up from childcare, when I look out the window and see a Brush Turkey trotting along the footpath. Not a bird that looked like a brush turkey, or some other random Megapode, but an honest-to-Betsy, full-grown, black and red Brush Turkey. Now I have to confess that threw me a bit. Sydney’s blessed with an abundance of bird life, including a number of quite large birds (Black and Sulphur-Crested Cockatoos, Channel Billed Cuckoos, even the omnipresent Sacred Ibises) but a Brush Turkey? In the inner city? 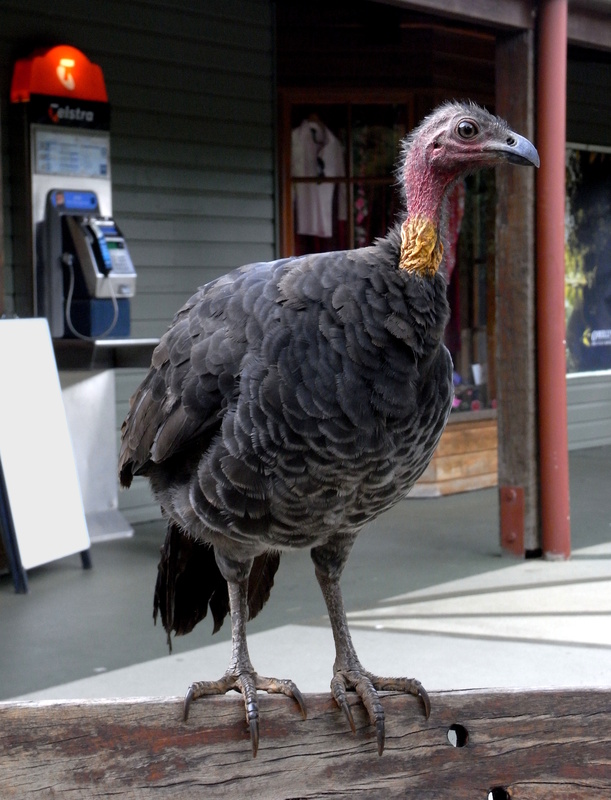 If nothing else Brush Turkeys are pretty much flightless, so it would have to cross the road on foot to get anywhere. And where on earth would it nest? (for those of you overseas, Brush Turkeys nest in huge (and I mean HUGE) mounds of leaves and sticks). Bizarre. Pleasingly though, it reminded me of one of my favourite stories, which concerns the bird painter John Gould, and is to be found in Isabella Tree’s biography, The Bird Man. The story stems from Gould’s visit to Sydney in the late 1830s, a visit which saw Gould visit many of the local worthies, including one (who if memory serves was Alexander Macleay, one of the founders of the Australian Museum and the original owner of Elizabeth Bay House) who Gould was delighted to discover had a Brush Turkey nesting in his garden. Gould spent some time observing the turkey and made some sketches of it, but the real treat comes later in a footnote by Tree, in which she notes (rather sardonically if I remember correctly) that despite its success on the day of Gould’s visit, the Brush Turkey later met with an unfortunate end, when it drowned attacking its own reflection in a bucket of water, a fate that suggests a degree of focus that’s not so much admirable as alarming. Powerful metaphor there, James. I know several people who are, as it were, in danger of drowning attacking their own reflection in a bucket of water. A metaphor made the more powerful by the comparative unattractiveness of the (narcissistic) brush turkey? But it’s a wonderful story, isn’t it? I’d have used Tree’s original footnote (which I remember being very funny) but I haven’t got a copy of the book.